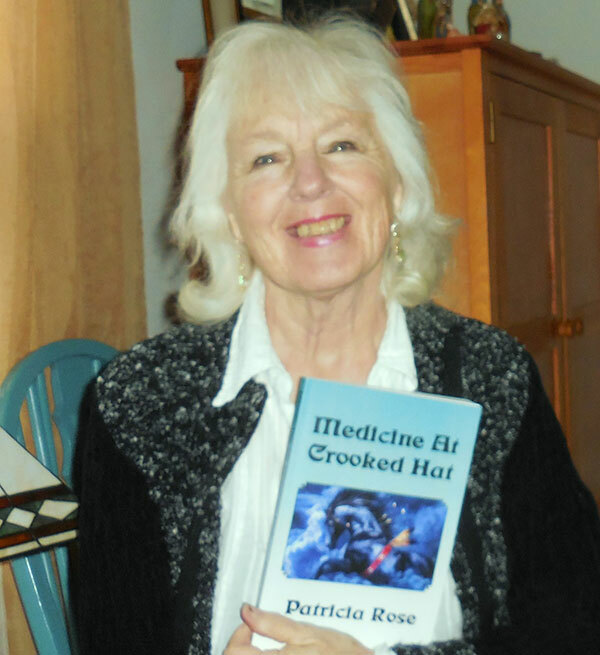 Patricia Rose with her latest book, Medicine at Crooked Hat. 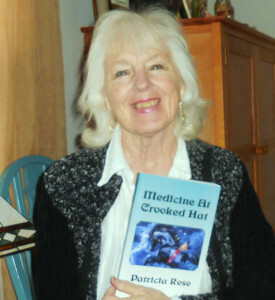 Local author and playwright Patricia Rose has just released her second novel, titled Medicine at Crooked Hat. It is the second book in the American Sojourner Series, which follows the continuing saga of the Beaumont family and their adventures in the early days of our country. It can be purchased at Schulers books on 28th St in Grand Rapids, and in their online store. It can also be found on Amazon.com. The first book in the series was titled A Pocket Full of Glory.